In “Beyond the Call: Three Women on the Front Lines in Afghanistan,” former Army linguist and USA Today editor Eileen Rivers profiles three military women and two of their Afghan counterparts to showcase the development and significance of the U.S. military’s female engagement efforts in Afghanistan from 2010 to 2014. The book will please both casual readers and those seeking a deeper understanding of American efforts in Central Asia. Adams and her team of two women supported a 260-man battalion by collecting atmospherics and intelligence during patrols in Helmand Province. 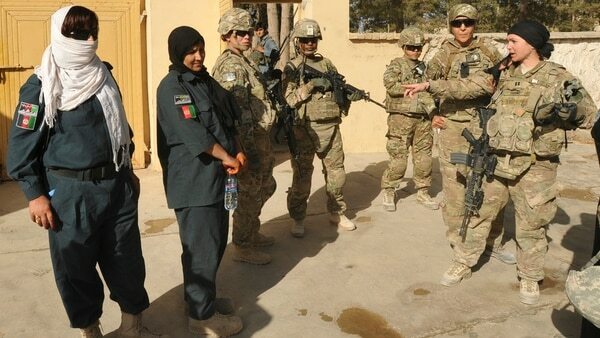 Rodriguez trained policewomen in Zabul Province. Smoke worked with the director of a women’s center in Zabul to upgrade the facility, register women to vote and encourage more women to join the police force. Adams stepped out of her career path in helicopter maintenance to join a female engagement team, or “FET.” The Army officers managed their FET responsibilities as collateral duties. Rodriguez was a provost marshal. Smoke served as an intelligence analyst. Women on FETs faced physical and programmatic obstacles. They joined combat patrols through the Afghan countryside wearing full battle gear and carrying M4 rifles. Insurgents targeted their missions. Especially in the early years of the program, even American soldiers had to be convinced that the FET mission added value. Some Afghan men refused to work with American women. 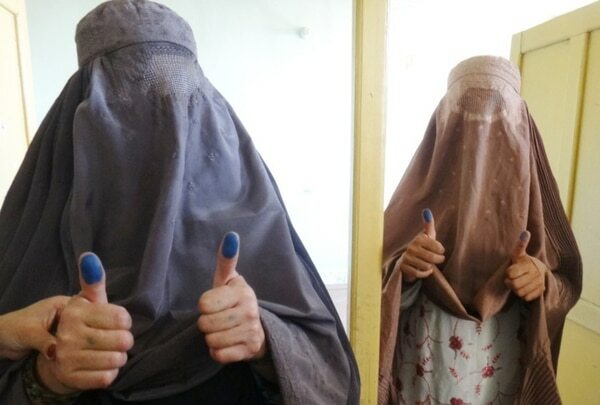 Even many Afghan women initially mistrusted the FETs. Maj. Rodriguez’s first three attempts to connect with Bibi, the leader of the small women’s police force in Qalat, fell flat. So had my attempts to convince a women’s group leader to discuss Russian casualty reporting during the Second Chechen War in 1999, when I was serving as the assistant naval attaché at the U.S. embassy in Moscow. A photo of my older son, then 18 months old, broke the ice and led to an important relationship. “Tell Bibi about your children!” I thought. 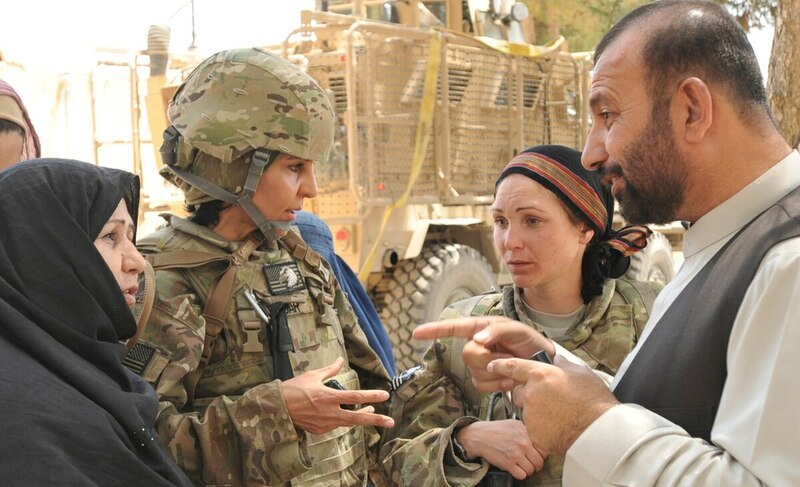 On her fourth visit to the policewomen of Zabul, Maj. Rodriguez finally shares a photo of her children and establishes common ground with her Afghan counterparts, most of whom are also mothers. Only then can the women develop the personal relationships necessary in so many countries to lay the groundwork for professional relationships. Rivers, herself an Army veteran, avoids a common flaw in many recent books about American military women. She doesn’t portray the women of the female engagement teams as “she-roes” who “earn” a place in a man’s world through superhuman feats of strength and valor. And while she points out the obstacles the women faced, sometimes even from the men tasked with supporting their missions, she also declines to label them victims of a male-centric institution that fails to value their contributions. She also maintains tension and interest in the women’s stories without relying too heavily on descriptions of combat, wartime atrocities or battlefield trauma. When her convoy is attacked, Sgt. Adams takes cover behind the tire of the second vehicle, returns fire and kills an insurgent taking aim from the roof of a nearby building. That’s just what Marines do. Adams sustains a traumatic brain injury when an IED overturns the MRAP she was riding in; Rivers does not portray the injury and its effects on Adams’s life as more — or less — significant than similar injuries to men. Rivers lets readers feel Jamila Abbas’ anguish when the Taliban beheads her husband in front of her and their children, but she doesn’t dwell on it. The author focuses on her resilience and determination. Women like Bibi and Jamala Abbas show them — and readers — how they work within the boundaries of their culture to survive, care for their families and make modest but meaningful gains for themselves, other Afghan women and Afghanistan. Rivers tends to overstate the success of the FETs, though their shortcomings lie neither in the concept nor in the women’s performance but rather in the implementation of the program. At best, female engagement in Afghanistan has been an unevenly-employed component of an overall strategy that has failed to deliver intended results for almost two decades. “Beyond the Call” highlights profiles of the women engaged in the mission, not on the coalition strategy in Afghanistan. But the challenges the women face mirror the obstacles for America and its allies in Central Asia. They confront a closed, insular society; Western misconceptions about the needs and desires of Afghan people; Afghan officials’ corruption and self-interest; and the need to reinvent the wheel whenever new individuals and military units arrive in a country that functions on a deep understanding of history, intimate knowledge of friends and adversaries, personal relationships and cultural continuity over long stretches of time. Rivers includes a summary of the development of female engagement programs in America’s wars in Afghanistan and Iraq that will be useful to military historians and scholars but it does not detail the establishment of the Cultural Support Teams serving with Army Special Forces (already thoroughly covered in Gayle Tzemmach Lemon’s 2016 book Ashley’s War). “Beyond the Call” deserves a place on military professional reading lists. The managing editor for O-Dark-Thirty, the literary journal of the Veterans Writing Project, Jerri Bell is a retired naval intelligence officer and former assistant naval attaché at the U.S. Embassy in Moscow. She and Marine veteran Tracy Crow are the authors of “It’s My Country Too: Women’s Military Stories from the American Revolution to Afghanistan” (2017; Potomac Books).